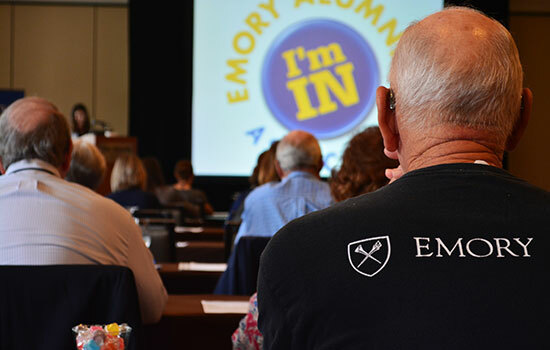 Back to Class South Florida marked the Emory Alumni Association’s eighth such program around the world. 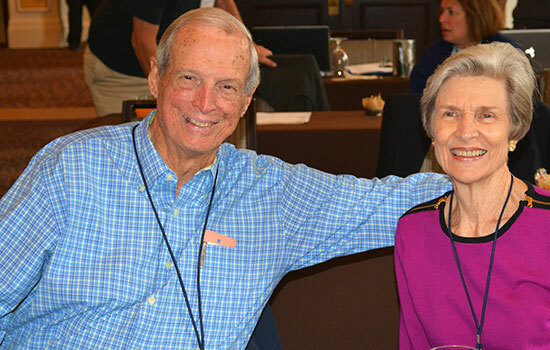 Warren Quillian 58C 61M 63MR and his wife, Sallie Quillian 60C, attended Back to Class. 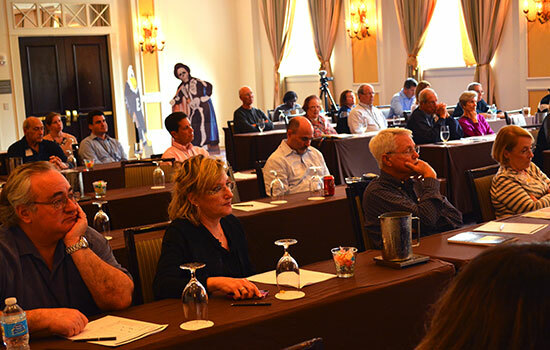 Attendees at Back to Class South Florida learned about the university’s history and academic strengths in addition to exploring public health issues. On Saturday, January 24, the Emory Alumni Association hosted “Back to Class: South Florida” at the Westin Colonnade Hotel in Coral Gables. The program featured five faculty members sharing expertise on diverse subjects including Ebola, quarantine, infant communication, and the history of Oxford College and Emory. The day-long program featured Joe Moon, dean of campus life at Oxford College, Ashley Darcy-Mahoney, assistant professor at Nell Hodgson Woodruff School of Nursing, Jeannette Guarner 87MR 89FM, professor of pathology and laboratory medicine for the school of medicine, Carlos del Rio 86MR 88FM, chair of the department of global health at Rollins School of Public Health, Polly Price 86C 86G, professor of the law school, and Diogo Anyigbo 10C 15M 15PH. Following the sessions, alumni and guests enjoyed a cocktail reception with Dean Ajay Nair, senior vice president and dean of campus life. Throughout the day, Emory Alumni Association Social Media Director Tania Dowdy 08Ox 10C captured highlights on the program on Twitter. To view the full Storify of the day’s events, please visit here. Would you like to learn more about future Back to Class sessions and other Emory in Your City signature programs? Please visit www.alumni.emory.edu/calendar for more information.